SnapPages Recenze 2019 - Proč 4.3 hvězdiček? It is evident that SnapPages is serious about keeping their service up to date and delivering on their promise to simplify the process of website building. This builder gives you the basics in terms of templates, features, and limited customization options. SnapPages Offers Little in the Way of Features but Delivers Much of What It Promises. 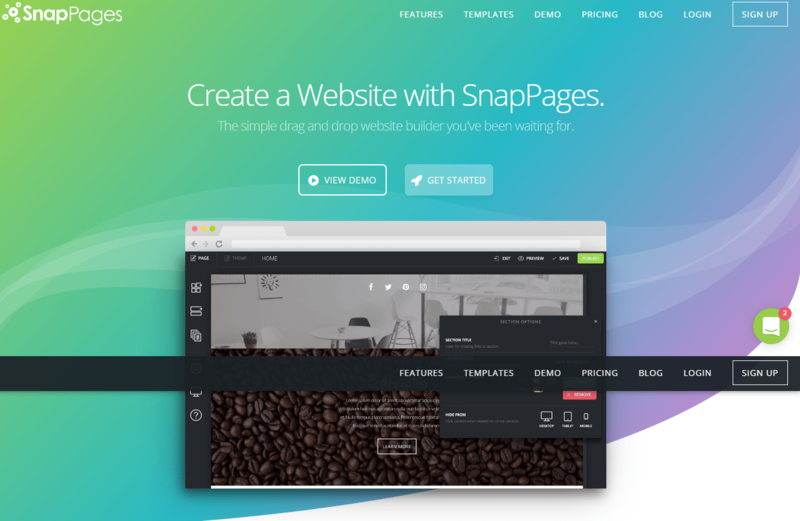 Launched about a decade ago, SnapPages has been doing a good job of updating their software over the years, so what you get is a mostly flawless site builder that’s designed to meet the demands of the modern website. Admittedly, SnapPages is not a top-of-the-class builder, such as Wix or Weebly, but most of its features work flawlessly. The drag and drop interface is easy to use, the templates, though few, give you enough customization options, and the text editor works impressively. This site builder delivers on most of what it says it will—the themes are responsive, there’s an inbuilt blogging function, sites are cloud-hosted, and the support is generally reliable. Much could be improved, though, especially ease of use for beginners. Also, SnapPages does not offer much in the way of solid features that will help you build a powerful website. 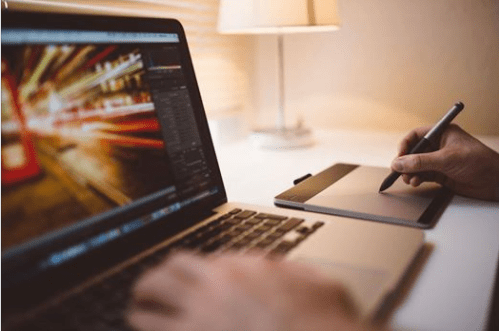 This site builder may not be for you if you are looking to build a robust business website, but it does offer great solutions for anyone wanting a basic personal website. Great Designs That Could Be Made Better with More Customization Options. Flexible and modern: SnapPages offers only a few templates to choose from. While the selection of themes is limited compared to what other site builders offer, the designs are attractive and will get the job done. It is possible to change themes while you are in the middle of building your website, which is a good thing to see. Customization: This builder is a bit of a let-down where theme customization is concerned. The Personal and Basic accounts have very few options for changing the look and feel of your site, forcing you to stick with the pre-made templates availed to you. Upgrading to the Advanced plan gives you more customization and editing room, but for experienced designers, the additional costs may not feel like great value for money compared to the so-called extra editing power offered on this advanced tier. Responsive: On the plus side, all themes are responsive and will look sharp on any device. Thanks to their innovative section templates, SnapPages consolidates content into longer pages, making for easy reading when using a mobile device. Basic Tools to Build Your Online Presence. Blog: For a site builder with meager features, SnapPages has done a really good job with its blogging tool. With full blog functionality, you can create blog categories and tags, schedule posts to be published in the future, set excerpts, add a comments section and moderate comments, and customize your sidebar using the drag and drop editor. eCommerce: Unsurprisingly, this builder sorely lacks an inbuilt eCommerce function. On a more positive note, SnapPages makes it easy to integrate with third-party services such as PayPal, MailChimp, and Shopify so you can build a functional web store. You can also add custom code snippets to really customize the look and feel of your online store. SEO: The Basic and Advanced accounts allow you to access several SEO tools, including adding meta tags to different web pages. However, do not expect much in the way of SEO capabilities—other builders offer much more than you get with this site. The Advanced account also comes with built-in monitoring tools and Google Analytics integration. Drag. Drop. Done. Is It Really That Simple? SnapPages comes with a clean and easy to use drag and drop editor whose features and functionality largely resemble those of WordPress. There’s a helpful tutorial that gets you up to speed with the interface’s basic features, and the drag and drop editor works impeccably. The section templates eliminate the need to build new sections on your own, which really takes the fuss out of creating pages. You have the option of building your site in piecemeal, using sections and blocks, but if you need a quicker solution, you can simply use the pre-designed templates. A couple of things take away from the interface’s user-friendliness. For example, the look of the dashboard keeps changing considerably during the site building process, which can be confusing. Also, editing pages has a learning curve, due to the additional menus, toolbars, and settings that pop up once you add the Pages section. Simple Content Creation, but With a Catch. Where content creation is concerned, this site offers some very good customization options. Instead of using the pre-designed templates, you can work with blocks and sections and arrange them as you please to create content for each page. You can customize the font, colors, and branding on each page, build and customize forms, optimize pages and posts with the available SEO tools, import files into content blocks, and seamlessly integrate social media. While content creation, overall, is easy, there are some downsides. For starters, there is no Undo button, so undoing changes can be difficult. There are limits on image resizing, and the image galleries feel and look old-fashioned. While one does not require coding knowledge to build a website using SnapPages, the truth is your options for content customization are limited if you cannot code. For example, to integrate third-party tools such as Shopify for eCommerce, Google Analytics, or MailChimp for newsletters requires playing around with code. Friendly Support but More Could Be Done to Improve It. One great thing going for SnapPages is the availability of live chat for all customers. However, I tried contacting tech support via chat, and I did not receive real-time assistance—they got back to me after two hours. There is a knowledge base, but you’d have to do a lot of digging through it to find information. 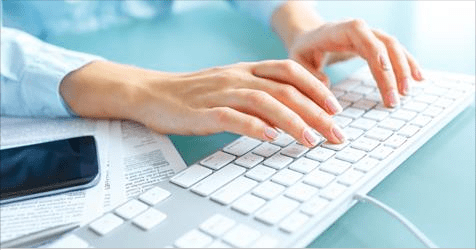 The available guides are also not very detailed, and a beginner will likely have a hard time making sense of the information to build a website. Also, there is no way to contact the support team either via phone or email, which is a bit strange because most worthwhile site builders offer at least one of these options. Reasonably Priced Plans to Fit Your Needs. When you look at the meager features you get with SnapPages, this is arguably one of the most expensive site builders out there. There are three plans available. The Personal plan comes with a drag and drop editor, customizable themes, 500 MB of storage, a 5-page website, and SnapPages branding on the footer. Upgrading to the Basic plan gets you a drag and drop editor, customizable themes, 10GB storage, a website with an unlimited number of pages, a custom domain, code customization, and SEO tools. There is no SnapPages branding on this plan, and although it is the most popular tier, the customization options are still very limited. Bump up to the Advanced plan, and you have the usual drag and drop editor, themes with more customization options, a website with unlimited pages, a custom domain, 20GB storage, code customization, SEO tools, advanced editing options, and priority support. It is evident that SnapPages is serious about keeping their service up to date and delivering on their promise to simplify the process of website building. This builder gives you the basics in terms of templates, features, and limited customization options. While SnapPages is generally well-priced, its features are very sparse and will certainly not do much for advanced users. Still, anyone who wants to quickly set up a light website will find that this builder gets the job done. Přemýšlíte, jak si SnapPages vede v porovnání s dalšími nástroji? Zadejte jakýkoliv jiný nástroj pro tvorbu webů a my vám je mezi sebou porovnáme.